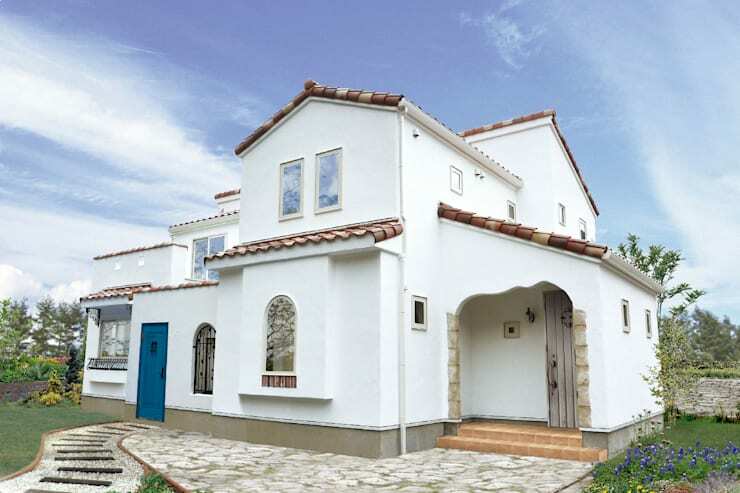 Today’s feature property takes us to a Spanish-style home in South Korea. Boasting a crisp white exterior façade, terracotta tiled roof and an alluring aesthetic, we’re sure you’ll love what you’re about to see! Influenced by traditional European architecture, this two-storey dwelling blends in beautifully with the surrounding landscape, yet still functions as an eye-catching, attention-grabbing structure. 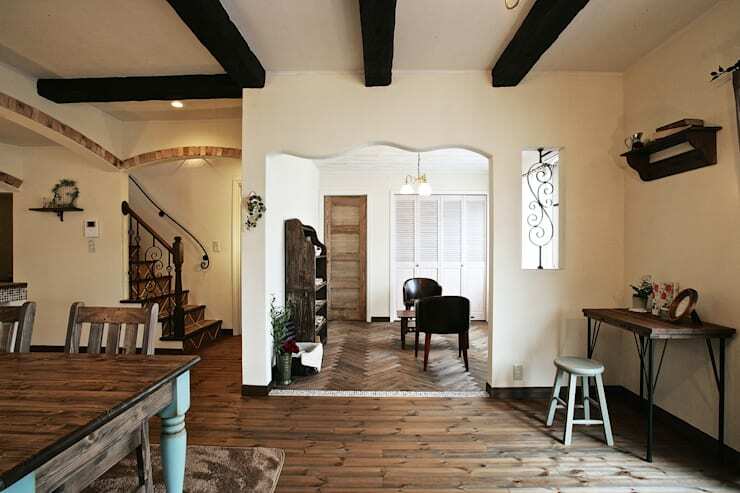 Sophisticated yet rustic, if you’d like to check out the inside of this home then you’ve come to the right place. Read on below to take a rare tour of this gorgeous residence, and perhaps pick up a few ideas or inspiration for your own home. 상자를 오려놓은 것처럼 두근두근 하는 새하얀 벽의 집. A little like something out of a fairy tale, today’s home is striking, and looks wonderfully alluring nestled in amongst the lush green garden. From this vantage we see the entrance, with a timber set of stairs that meander naturally to the front door. With a range of different pitched roofs, the structure and form is engaging and interesting. 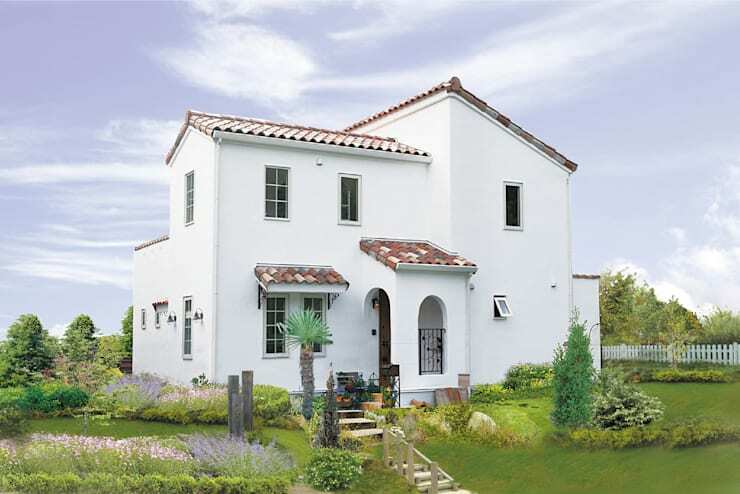 Of course, the bright white stucco is a highlight, and coordinates beautifully against the darker terracotta tiles. 남유럽 안달루시아의 하얀마을 미하스에 위치한, 나무와 돌과 새하얀 바름벽의 집. Heading around to the other side of the house, we see the rear entrance that functions as a main entry point for guests and visitors. Sections of exposed stone are visible, in addition to the bright blue door that contrasts beautifully against the white façade. Windows are small yet in-keeping with the traditional look and ambience of the home, along with plenty of subtle architectural detailing that imparts a unique and authentic aesthetic. Would you enjoy sitting here for a spot of breakfast in the morning? We think this is the perfect place for a morning tea or an afternoon snack! Replete with wrought iron furniture, as well as a host of other characterful accessories, this space ticks all of the boxes. Private, sophisticated and clutter free, this courtyard is definitely one of the finest terraces we’ve come across, boasting elegance and refinement, without compromising on charm and charisma. 매력적인 이유는 신축임에도 정감이 스며있는 빈티지한 감각의 힘 때문입니다. Heading inside we enter the first kitchen and casual dining room. Here the colour scheme is predominantly white, with neutral hues added throughout. 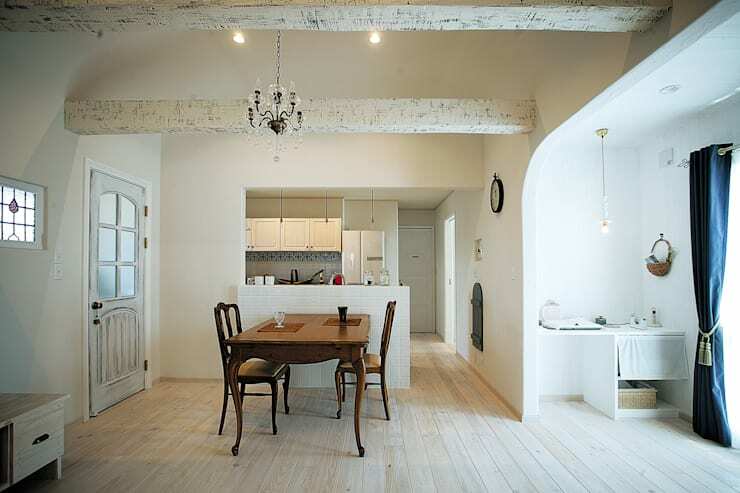 Whitewashed finishes are employed generously to both the furniture and architectural details. Exposed timber ceiling beams have been painted as well, contributing a modern yet traditional touch that is unique and eye-catching. Refreshing and elegant, this room is extremely inviting, and includes light timber floors that add a serene aura throughout. In another reception room, the décor is slightly darker, with a more traditional vibe and ambience. The furniture is carefully chosen, with original pieces imparting a retro modernity, and easy-going attitude. Parquet flooring is seen in the adjoining room, while rustic timber floors are gorgeously raw, with a satin-matte finish. In contrast to the aforementioned space, this room embraces the dark hue of the ceiling beams, and injects a more refined, enduring aesthetic. The main kitchen has been designed to reflect the attitude of the home, while still providing an inclusive space that is perfect for socialising and gathering. Additionally, the setup includes plenty of storage space, and cleverly mimics many of the other architectural details seen throughout the house. Modern inclusions are seen throughout this large dwelling, infusing a sense of updated old-world charm, informing an intrinsic appreciation of age-defiance and outlook. 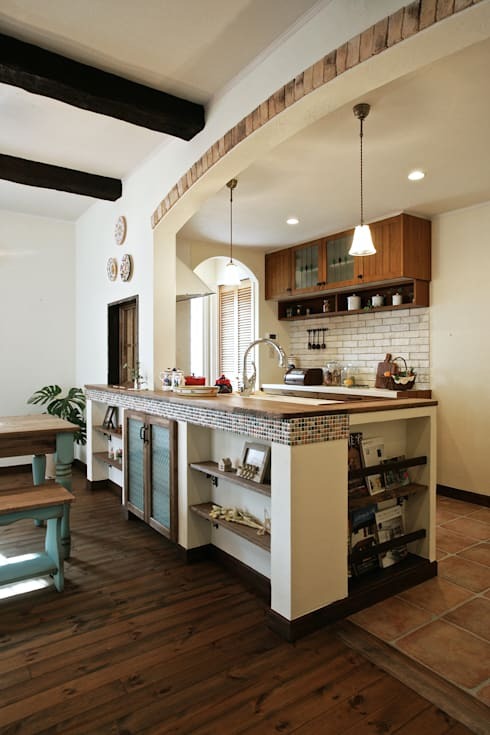 Did you enjoy this home's combination of rustic modernity?